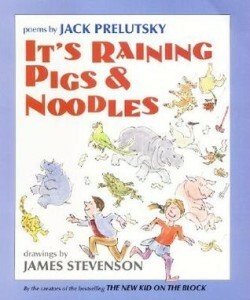 Much as I love Dr. Seuss, elementary schools would do better on Read Across America Day to focus on poetry with more wide ranging vocabulary like Falling Up (Shel Silverstein) and It’s Raining Pigs and Noodles (Jack Prelutsky). I just re-read both, and they’re terrific! 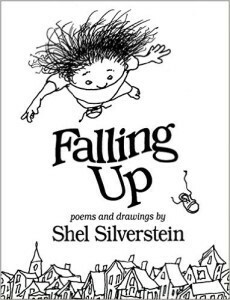 The problem with featuring pre-school classics like One Fish, Two Fish and The Cat in the Hat year after year is that older students understandably get bored out of their minds and, worse yet, believe that’s all there is to children’s literature. 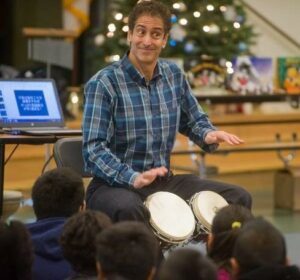 Recently, at a school that was celebrating Read Across America Day, I witnessed an afternoon procession of hundreds of students K-5th grades–all wearing red and white striped Cat in the Hat hats. (At first, I could hardly believe my eyes: 4th and 5th graders celebrating The Cat in the Hat?) Apparently, it’s a tradition there; they do this each year. They walked off the school grounds, up a couple of blocks in a residential neighborhood, then circled back. The older students were in good enough spirits, but I also sensed an air of “Been there, done that, this is pretty lame.” Granted, it was a low-income community. Still, it saddened me to think that many of these students would go on to middle school, never to really embrace reading, and carrying forever the perception that children’s literature ends with books they first encountered in kindergarten. So regardless of socio-economics, here’s to encouraging young people to STRETCH and not just settle for the stuff that’s widely marketed.